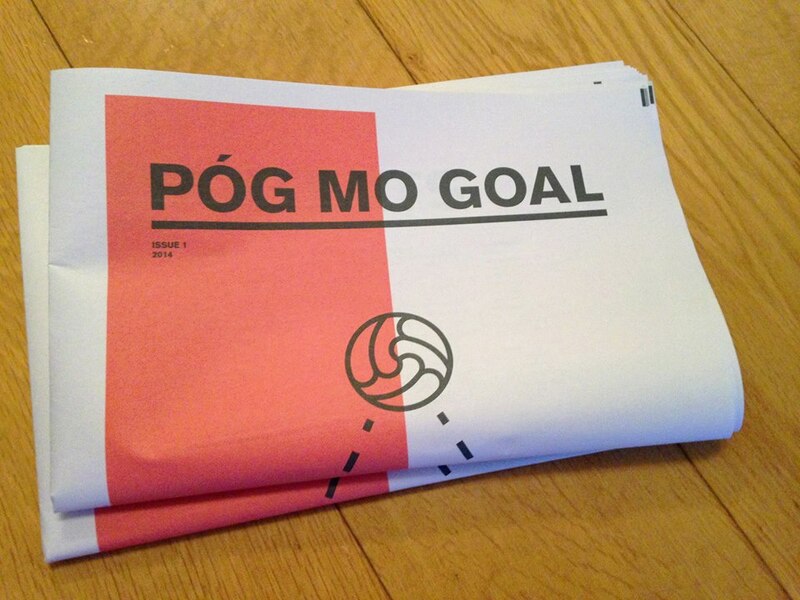 Póg Mo Goal is a new football publication from Ireland focused on considered design and great quality writing from around the world. He stalked the Lansdowne Road turf on a drizzly night in September. He threaded the decisive ball for Anders Svensson to score Sweden’s winning goal that ended Ireland’s World Cup 2014 qualification hopes and ultimately Giovanni Trapattoni’s tenure as manager. His every touch was met with whistles and jeers from the Aviva stadium crowd. A sure sign the watching Irish fans were aware of the Swede’s imposing threat. He jogged languidly around the Dublin arena but was able to pull the strings and dictate the Swedish attacks. His frame towered over the Ireland defenders with only the battle-hardened Richard Dunne looking like he could take on the 6ft 5in striker. He is a winner. He is a champion. He is Zlatan. 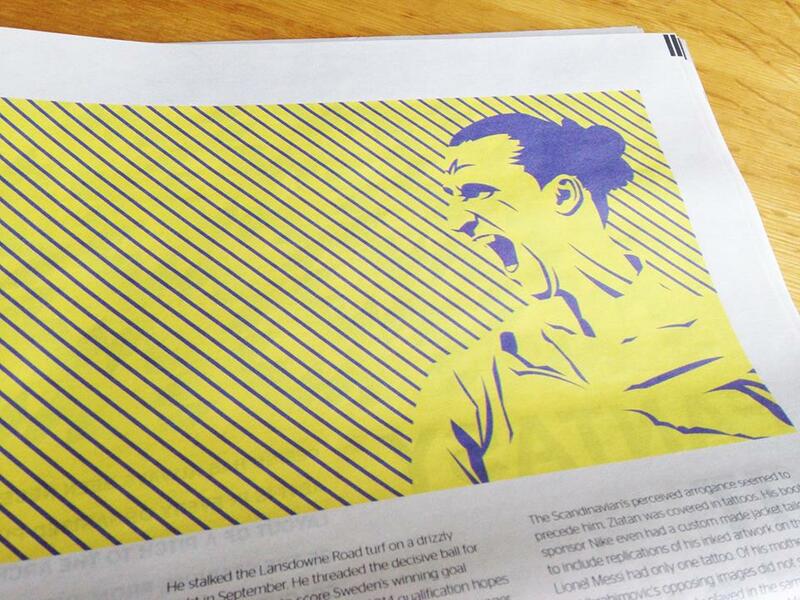 The profile of Zlatan Ibrahimovic is just one of a host of articles in the new magazine which includes renowned contributors such as Brazilian photo-journalist Gabriel Uchida and his essays on supporters in his homeland, Ron Ulrich from Germany’s cult 11freunde, and Donal Fallon from Dublin’s Come Here to Me. Other features include Johan Cruyff’s battle with the Dutch FA ahead of the 1974 World Cup, the Barcelona-based Vasava design agency and their customised typeface for the Catalan giant’s kit, the first time Ireland played under the name ‘Republic’, and the story of ‘O Canarinho’, the iconic jersey of the Brazilian national team and how they came to wear the famous colours. Illustrators include Manchester-based Dave Merrell and the stunning work of Ireland’s Dan Leydon. The magazine is the latest venture for the team behind the Póg Mo Goal blog which focuses on football culture, design, and humour. The publication is available in Indigo and Cloth in Dublin’s Temple Bar and to order via this website. Editor of PógMoGoal.com, the Irish football blog with a focus on football culture, design, opinion, and humour.